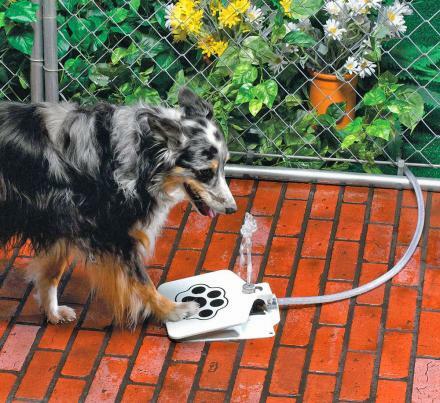 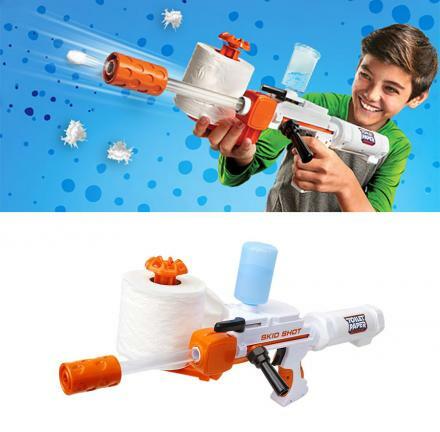 Are you sick of showering under a dirty shower head that's filled with so much calcium build-up that it feels like you're getting squirt with a kinked garden hose? 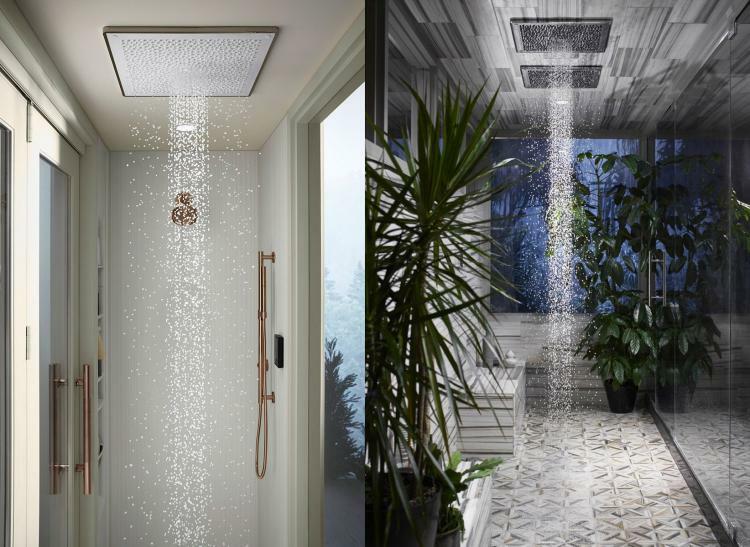 The Kohler Real Rain shower head will turn your shower into a time of pure bliss and relaxation, as their unique shower head simulates actual rain drops instead of a constant stream of water. 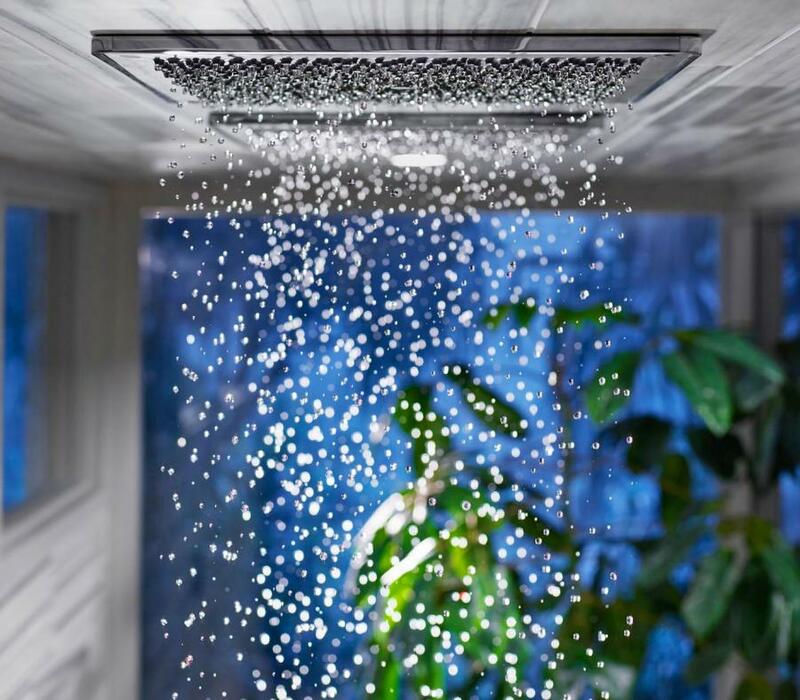 Now you can experience a gentle build-up of a warm Summer rainstorm right in your shower with the Kohler Real Rain shower head. 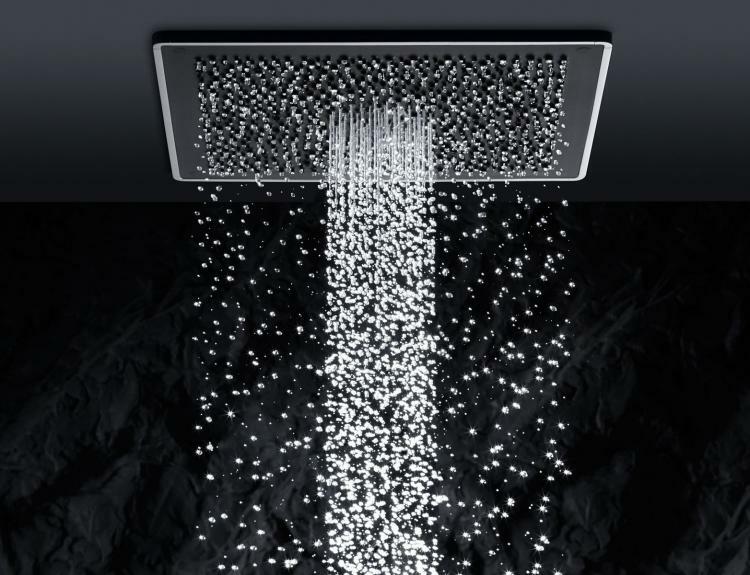 The unique design of the shower head works with a water reservoir that uses gravity to shape individual drops that replicate rain drops. 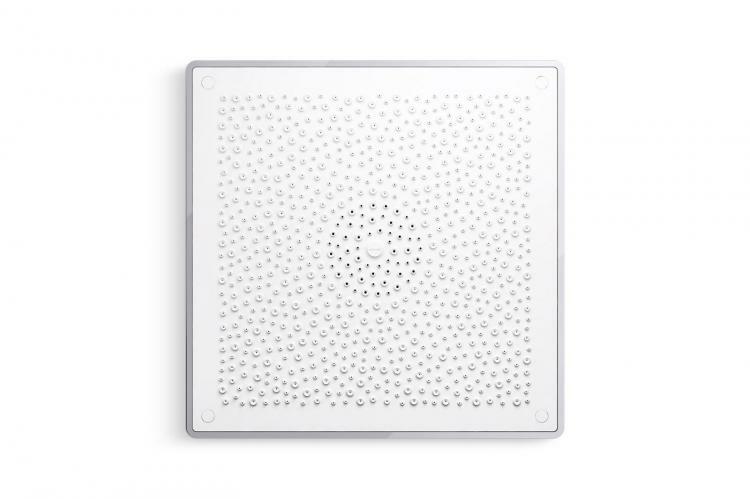 Featuring over 775 individual rain drop outlets, the Kohler Real Rain shower head will slowly start to drop the rain drops when turned on, and will then grow in strength until your shower makes it sound, look, and feel just like you're in a real rain storm with nice warm Summer water. 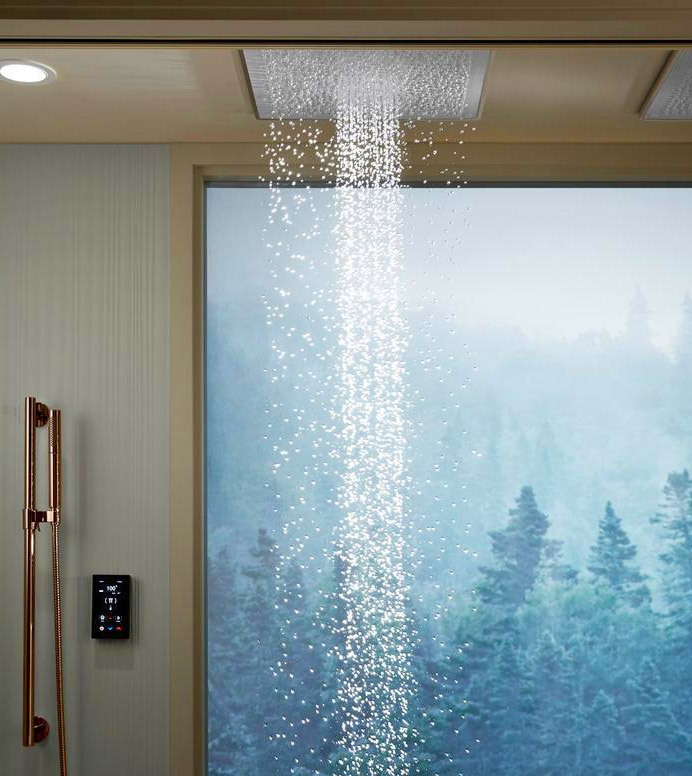 The Real Rain shower head even comes with a feature that with the push of a button will release a reservoir of water all at once in one powerful release to simulate one giant release of heavy rain. 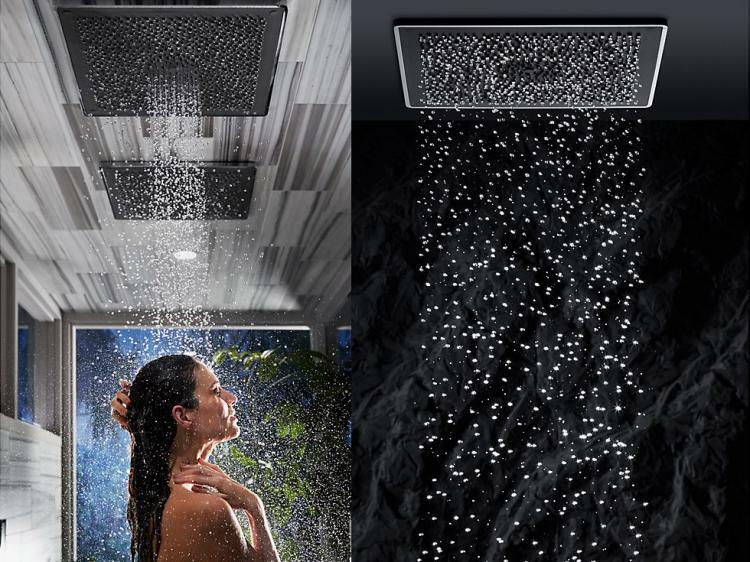 The Kohler Real Rain shower head has a flow rate of 2 gallons per minute, and the heavy release push button feature releases 0.5 gallons of water in 8 seconds time. 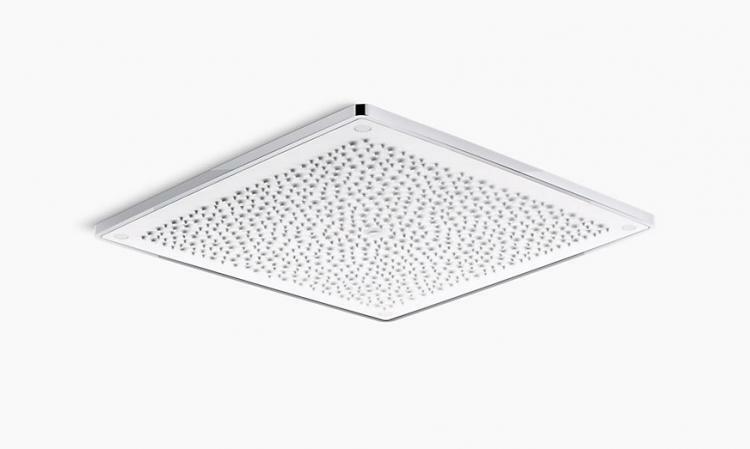 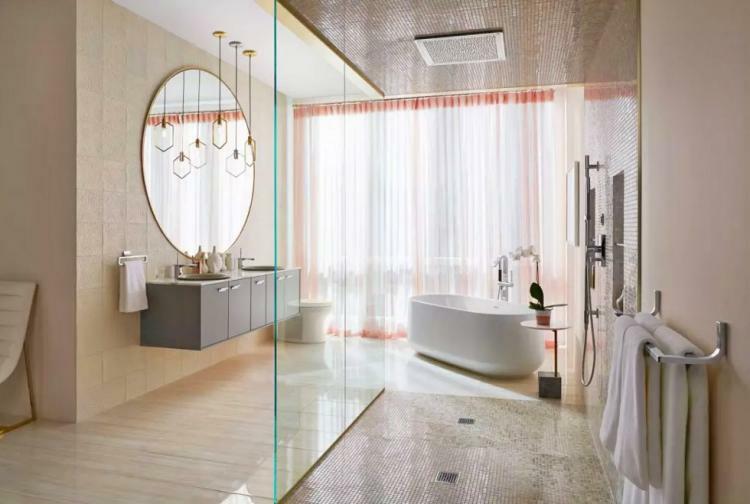 The rain storm simulating shower head is made with a 19 x 19 inch panel that gets installed right into any drop ceiling and is completely flush to make it look extra classy. 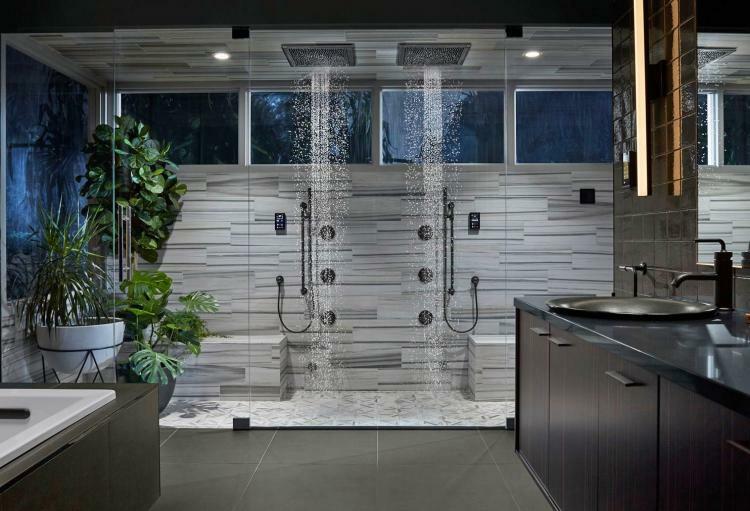 The unique shower head uses an easy-mount bracket and panels that make installation simple. 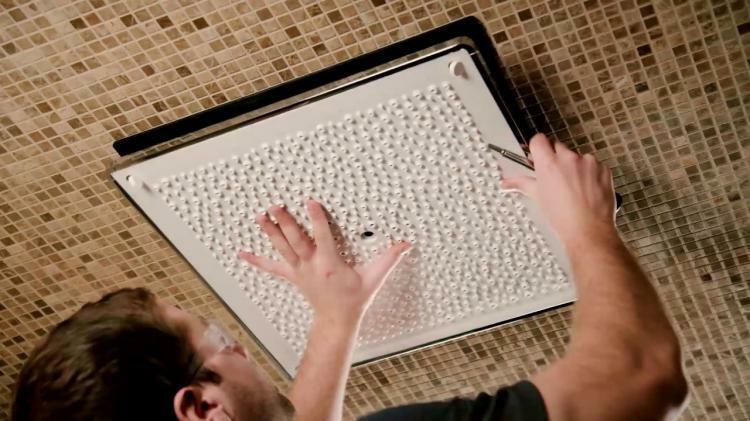 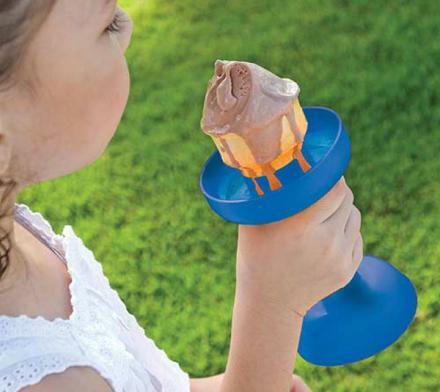 It also comes with a z-bracket that contains 4 leveling nuts to improve the easy of installation. 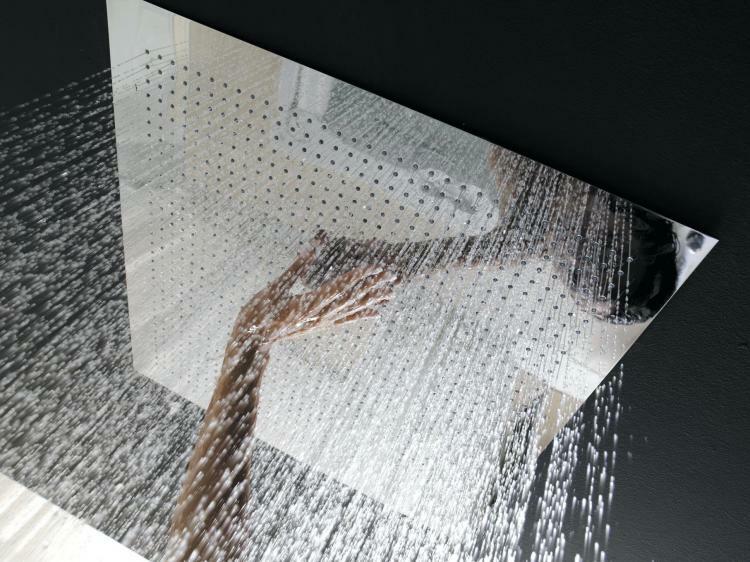 Check out the Kohler real rain shower head that simulates a real rain shower in action via the video below.